That's one of the few commonly-remembered plant meanings. The "Language of Flowers" was a Victorian creation, putting meanings onto plants, so a bud or bouquet could convey a very specific message. There seem to have been several systems, which meant you could misunderstand the message. But, using Kate Greenaway's Language of Flowers, one of the still-available lists (link), a white rose would say "I'm worthy of you, " while receiving white and red roses together meant "unity." 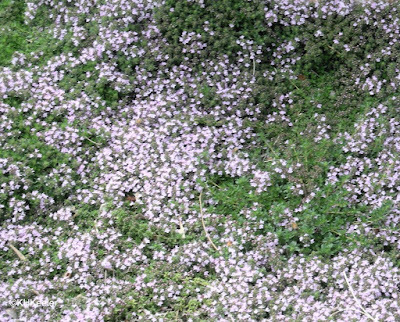 In Greenaway's system, rosemary meant "remembrance". But rosemary's role in remembrance goes back way before the Victorian era (1837-1901). 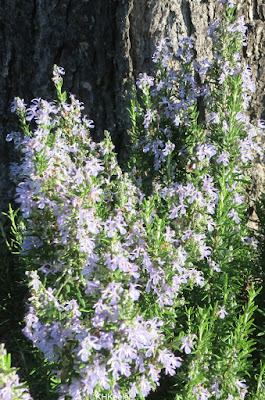 In both ancient Greece and Rome, rosemary was worn by couples at weddings and placed in the hands of the dead. 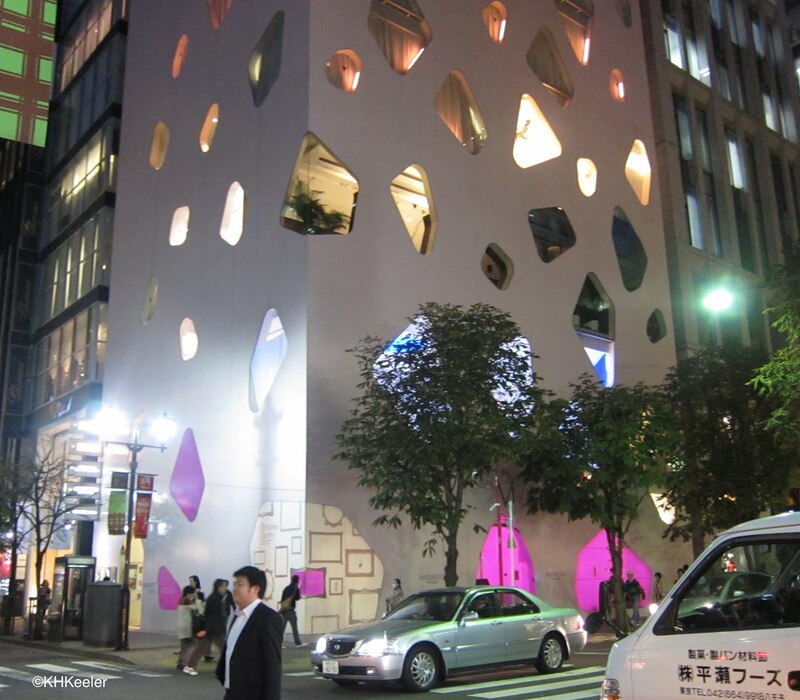 Both of these evoke enduring affection and remembering. Furthermore Greek students reportedly wore rosemary in their hair for examinations, to better remember the information. Two years ago I was in London in the first half of December. Looking back at the photos, I'm struck by the contrast to Colorado at the same time of year. London is well north of Denver, any map will show you that. Yet, the ocean effects prevail: it was much warmer than the Colorado we'd left behind. 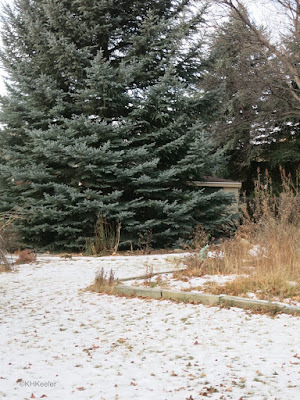 Not only was it warmer, I saw many plants that we cannot grow in Colorado. 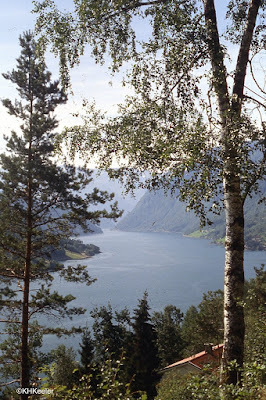 Norway isn't just fjords. It has many miles of scenic coastline and islands, as in the video. 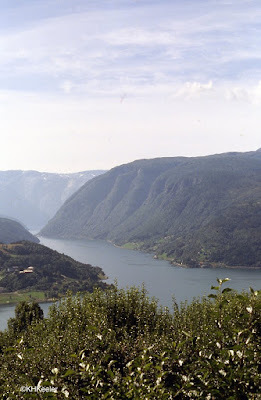 But also beautiful fjords (below). 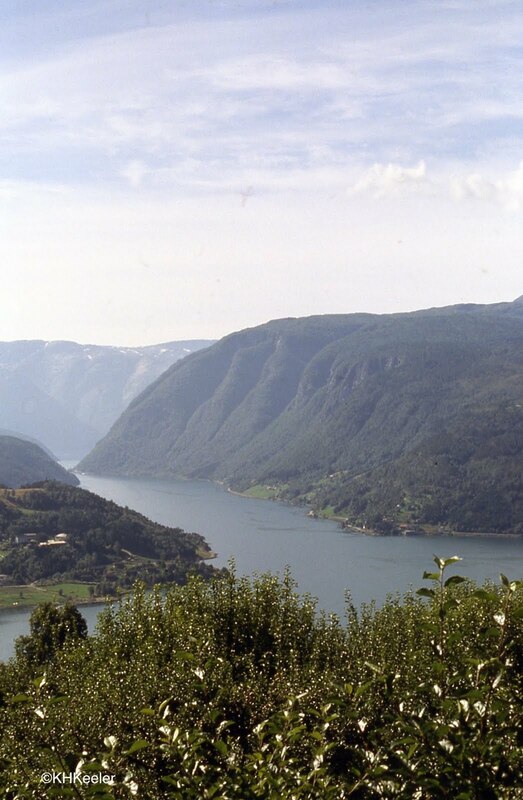 A fjord is a long deep canyon filled with seawater. Most were carved by glaciers. 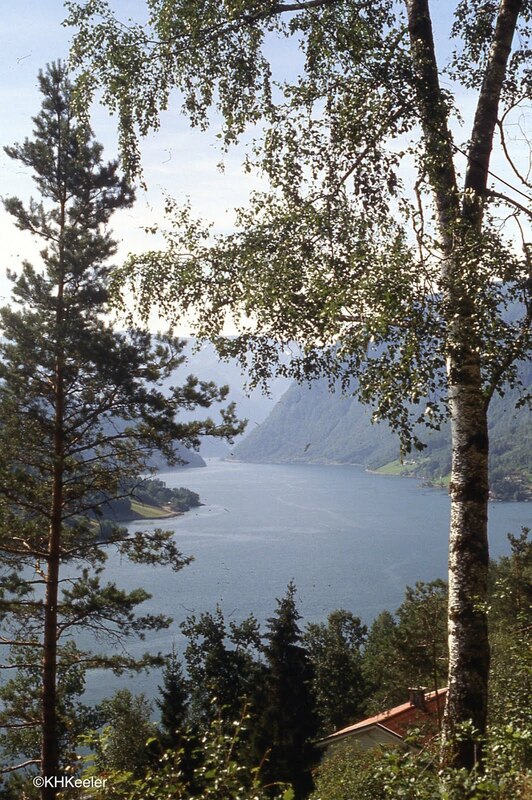 Fjords are rare around the world, the famous ones are in found in Norway, New Zealand, Chile, Canada, Alaska and Greenland. 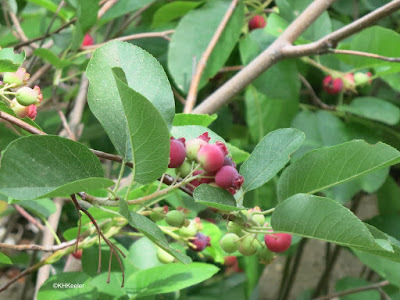 Edible Plants--What is an Edible Plant? 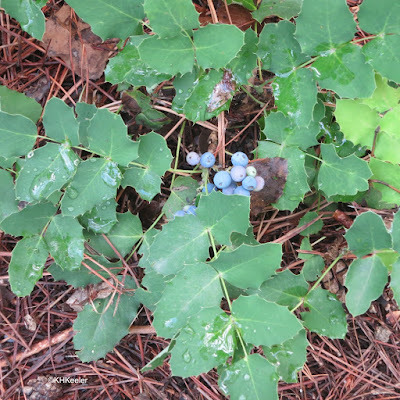 One of the things people like to ask about a plant: Is it edible? That is probably not the right question. 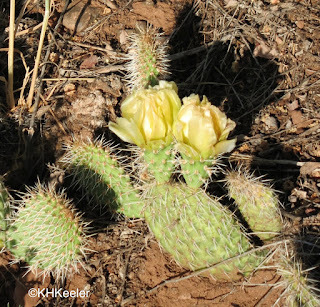 "Of course it is," my prickly pear cactus replied. 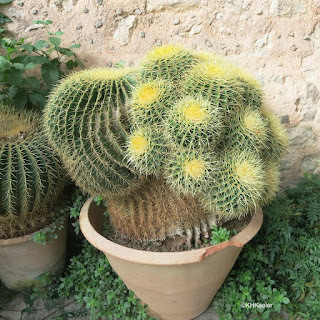 "We cacti grow well in pots, have beautiful flowers, and survive if the dumb human forgets to provide water for weeks. We're awesome!" 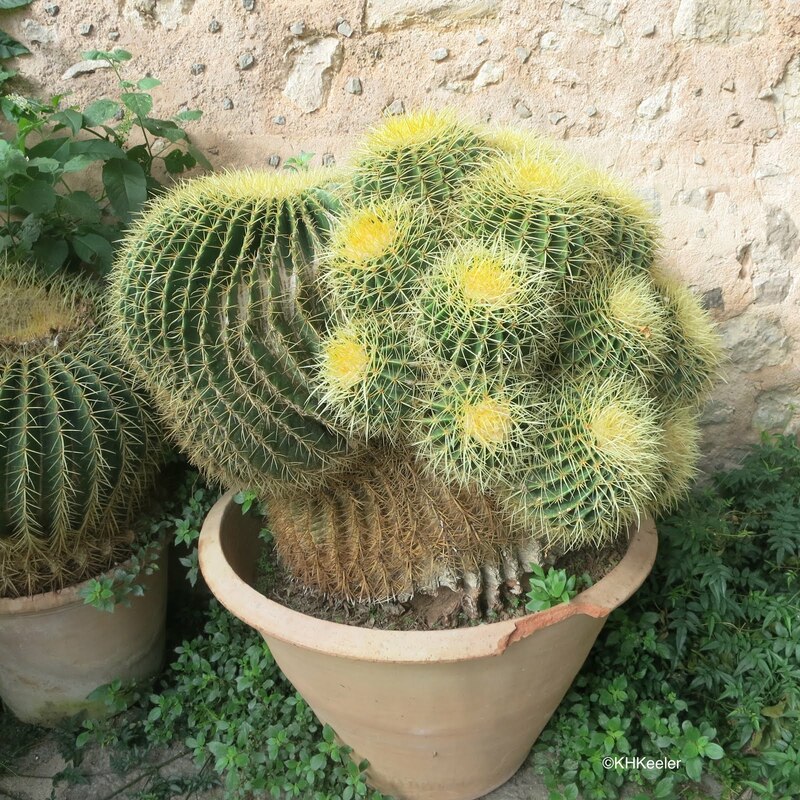 Cactus in pot, Majorca, Spain. "Ah," I replied cautiously, "then how come some people hate you, clearing you out of their pastures?" 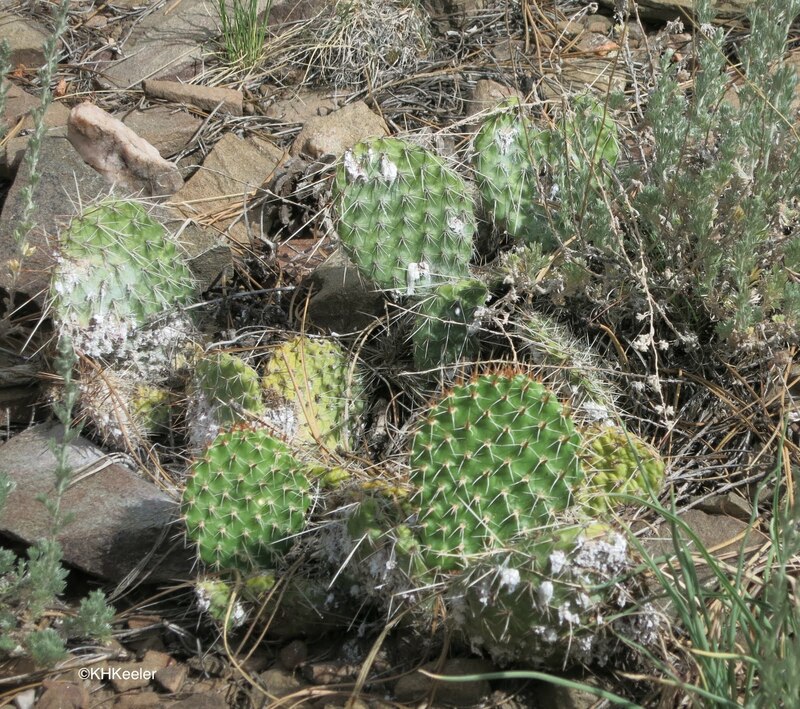 The big prickly pear cactus had white deposits. So unsightly! 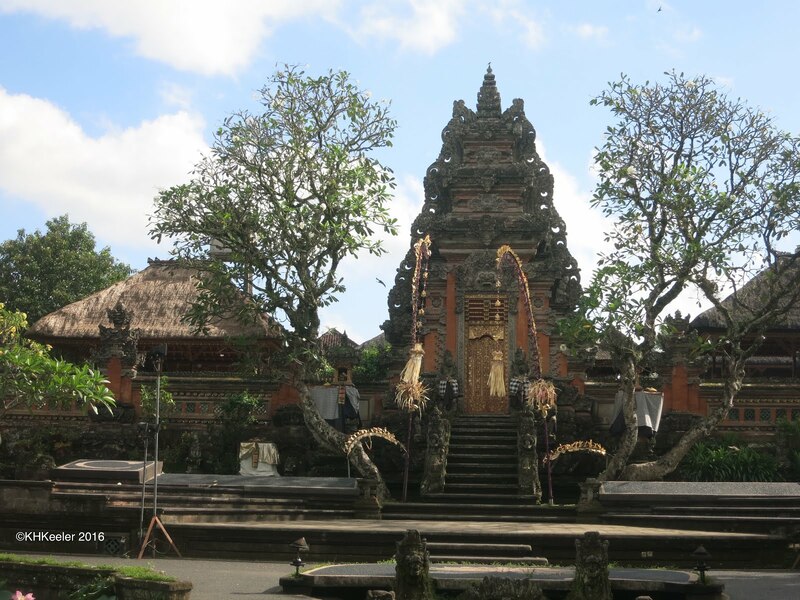 And yet, the source of fortunes! Humans love red, but red dyes are few in the natural world. Europe from prehistoric times raised madder (Isatis tinctoria) which makes a strong brick red. But though they loved madder, Europeans liked colors that were almost purple even better, and those were harder to produce. The Phoenecians, Greeks and Romans made them from small molluscs (murex, link link) gathered in the Mediterranean. That was the source of the rare royal purple of Roman togas, a red-purple. The snails were over-harvested and when Constantinople fell to the Turks in 1453, the technology was lost until the 19th century. Calthus palustris Do you call it cowslip or (marsh) marigold? Nobody regulates common names. That's one of the reasons for scientific names. The rule on scientific names is: each organism has one and only one name, not shared with any other organism. Common names don't obey either of those rules. I wrote previously about multiple common names for the same plant. 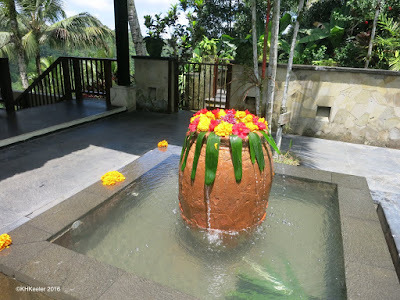 (link) That is annoying, because sometimes you don't recognize that someone is talking about a plant you know only because they're using a different common name. I think the same common name for different plant is even more unfortunate. In this day of using words on the internet to learn about things, shared common names lead to at best, time wasted working out which plant you want, and at worst, possible poisoning because one plant with that name is toxic and one isn't. We stood astonished. Huge metal "trees." 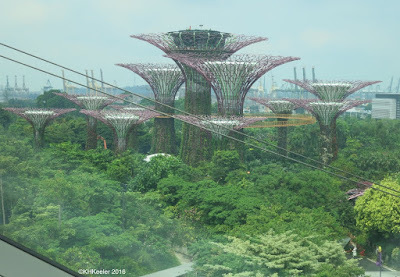 This was Singapore. 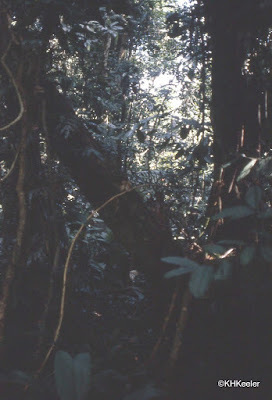 On the Equator, with lush plants but also industrialized and high-tech. So: a tree-like metal framework for tropical vines. 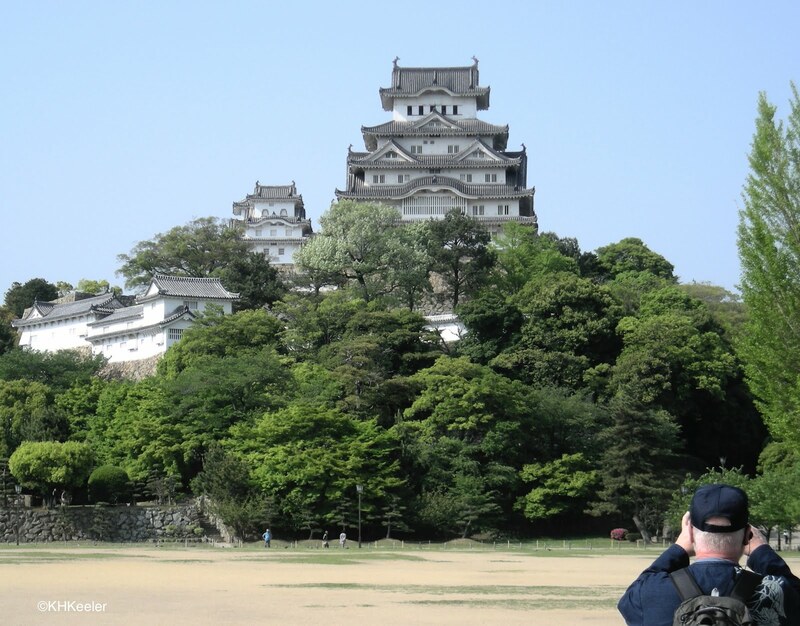 Here is how they looked from a distance, from a second or third story walkway. 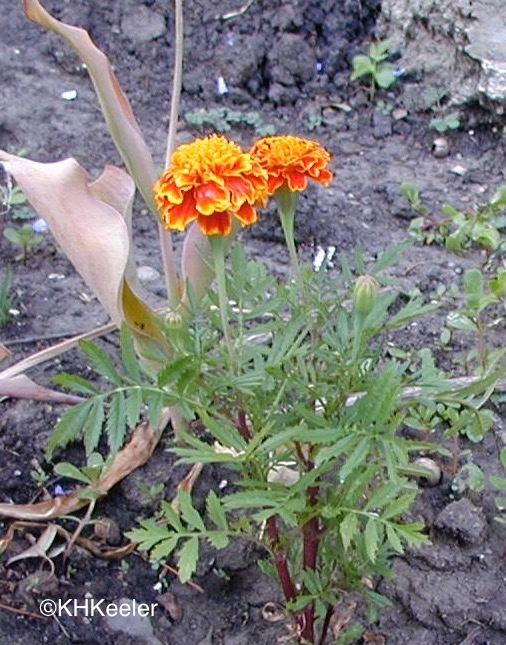 So, who are the marigolds, genus Tagetes? The previous post (link) was about calendulas, called marigolds, now more properly called pot marigolds, important plants through much of European history. In the 1500s, a different group of flowers, species of the genus Tagetes (sunflower family, Asteraceae) were introduced to the Old World from the Americas. People loved them, called them marigolds and presently they became the plants people recognized as marigolds, not the Eurasian calendulas. Marigolds, Tagetes, were not wildflowers when they were brought to Europe (by 1520). The Aztecs and other Native American groups had been growing them for centuries. Marigolds and calendulas are mixed up in the literature (previous post). Both are plants with yellow to orange flowers in the sunflower family, Asteraceae. Calendulas, Calendula officialis, are from southern Europe or the Near East, and over the last 1000 years were called marigolds or pot marigolds in the European literature. 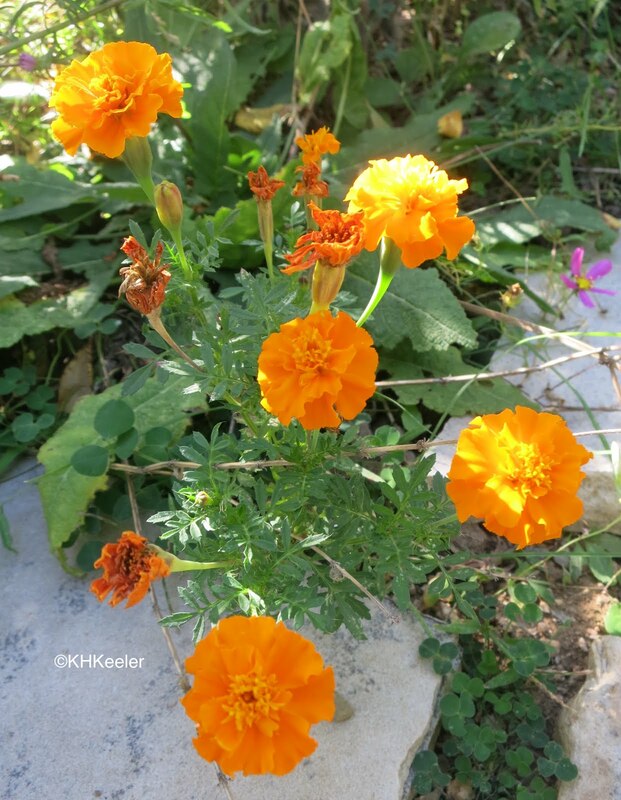 Marigolds, species of Tagetes, are native to the New World and were introduced to the Old World in the 1500s. Lacking English names originally, they were initially called French marigold (Tagetes patula) and African marigold (Tagetes erecta) in England. Today the Tagetes species are generally called marigolds and the calendulas (pot marigolds) are much less well known. In Asia, they are very much loved...and a long way from home. All the shrines were decorated. 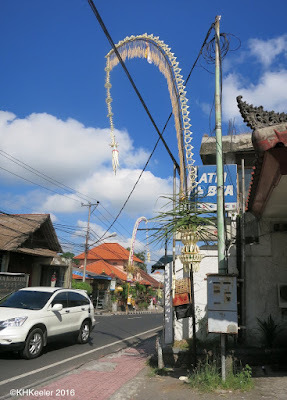 All the streets were decorated. Since people have been using plants "forever" you'd think plants would have long ago gotten generally-agreed-upon common names. But that is not the case. The internet is revealing that across the U.S. we call the same plant by many different names (earlier post). It is not the internet's fault, of course. We've been calling plants by different names all along, but now, instead of digging in my local plant identification book, I google the plant and come up with a series of different responses. 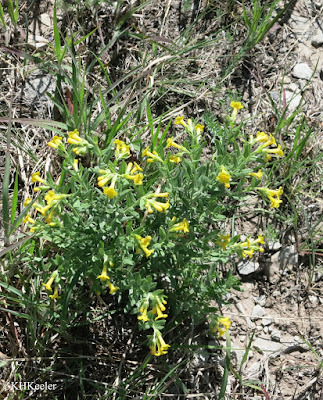 For example Lithospermum incisum came up on the USDA plants list as narrowleaf stoneseed, at Lady Bird Johnson Wildflower Center as golden puccoon. 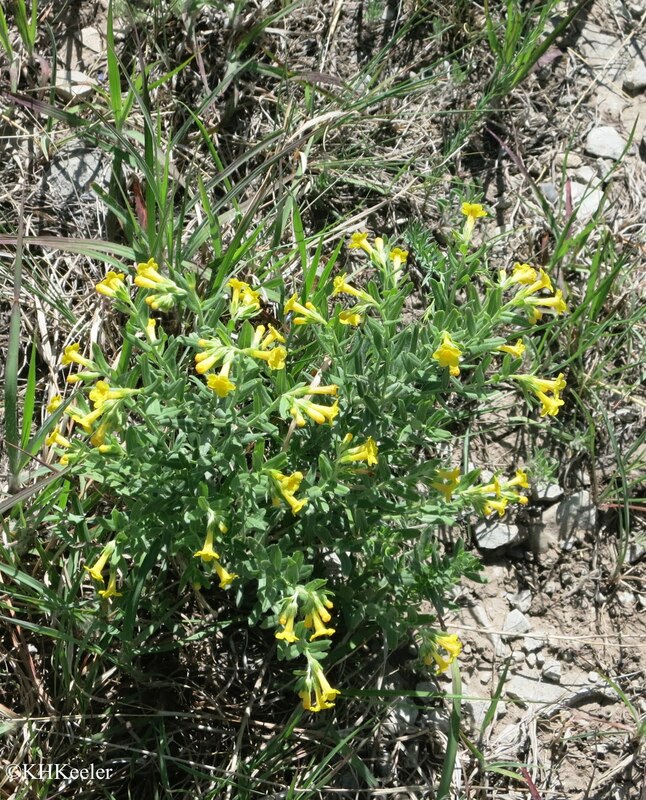 and on swcoloradowildflowers.com as fringed gromwell. 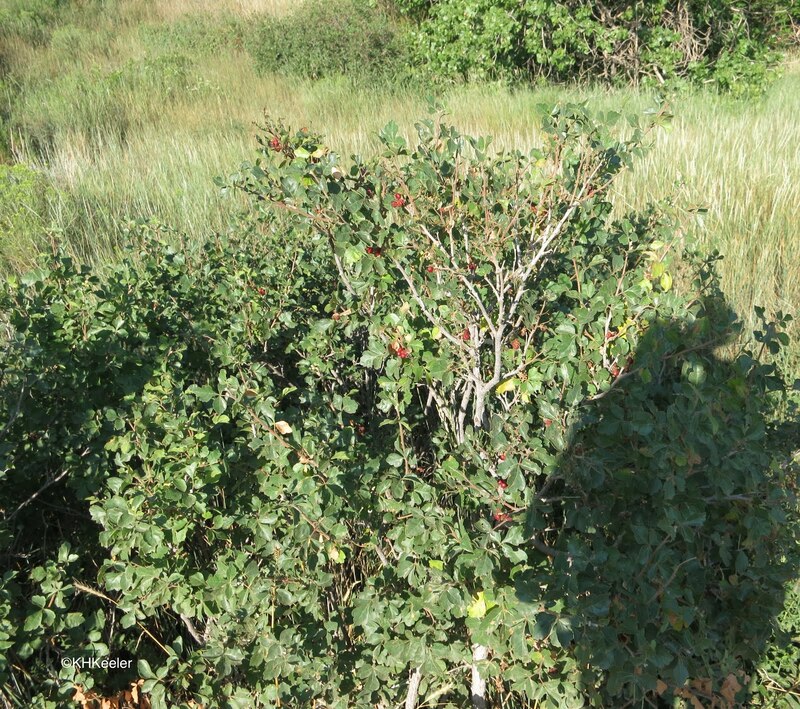 The USDA calls it skunkbush sumac. 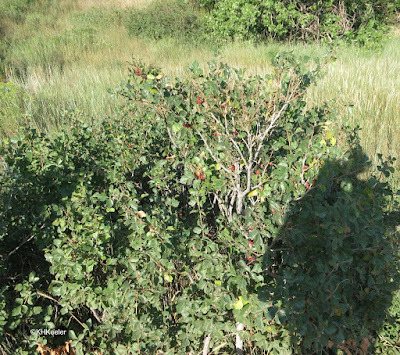 Other sources call it three-leaf sumac, skunkbush, lemonberry sumac and in the older literature, squawbush. 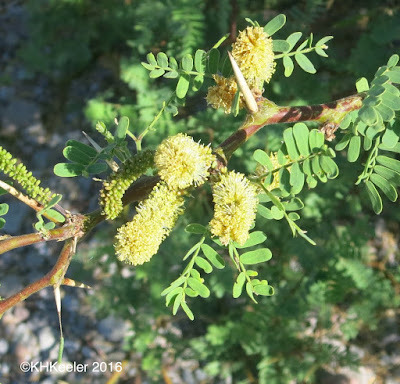 It is Rhus trilobata in the sumac and poison ivy family, Anacardiaceae. 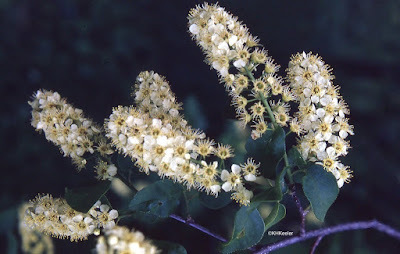 The name skunkbush comes from the odor of the shrub, which many people find unpleasant and I have never noticed. Romance is in the eye of the beholder. Many people find forests romantic. Many fewer love prairies. So let me talk about tallgrass prairie. 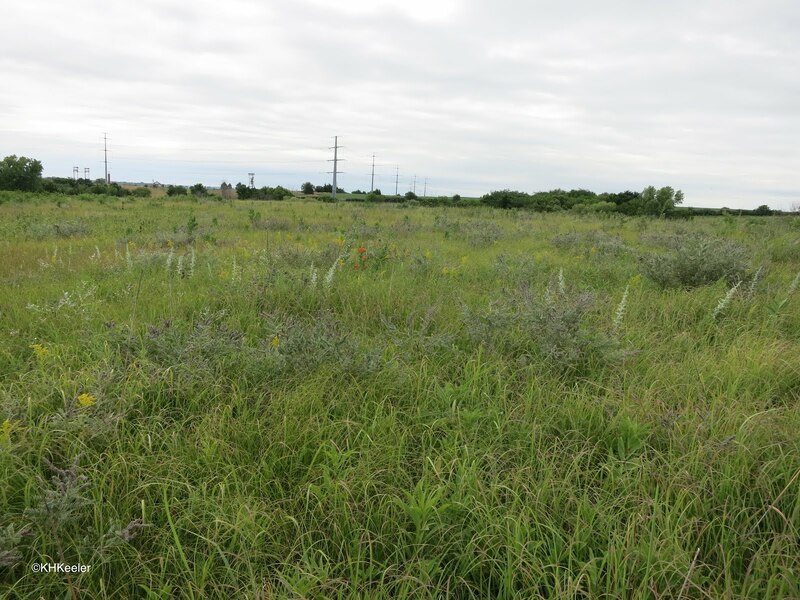 Most people have never seen a tallgrass prairie. Just two hundred years ago, tallgrass prairie extended from the forests of Kentucky and Tennessee to the middle of Nebraska and Kansas, from the Gulf of Mexico to southern Canada. THREE unrelated plants are called bergamot, a pear, an orange and a mint. Here are the fruits on my saskatoon--you might know them service berries or June berries. In the East you might call this a shadbush. Robins don't argue over the names, they just gobble the fruits down. To entertain with the stories I love, I have to identify the plant. That is what names are for--communication. 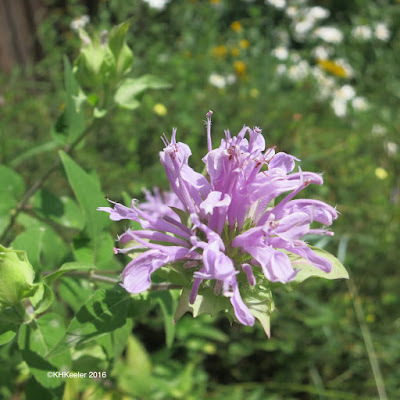 Why is it so difficult to have widely recognized plant names? Deserts are stressful places for plants. Water is in short supply and often unpredictable in its arrival. Growing and flowering are difficult, since they require water. Yet plants like the mesquite, above, and the cardón cacti, below, were in flower in the dry Baja California desert in April. 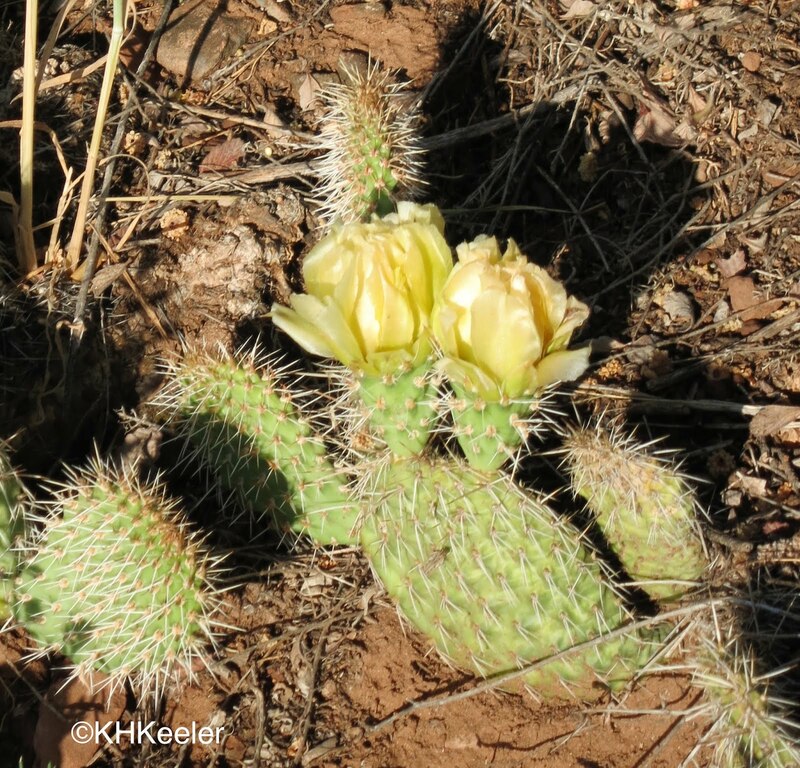 Deserts plants cope with drought various ways. Annual plants are opportunists. They spend most of the time as seeds, then grow, flower and go to seed within one to four weeks after a good rain, not to reappear until the next heavy rain. Other plants are perennial, visible members of the community. They have woody stems that increase in size or expand without wood from a big root system. 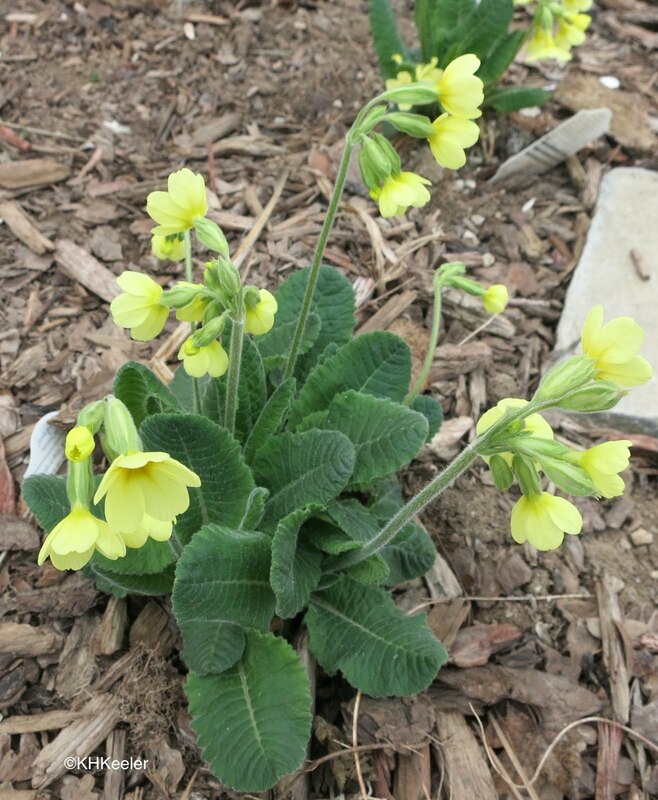 Perennial plants must store water, soaking it up like a sponge when it rains, so that they can consume it slowly during long dry periods. 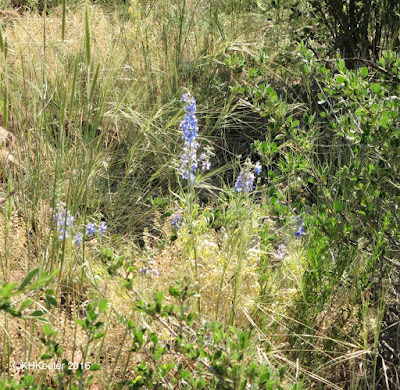 Some perennials flower based on rainfall, but others flower the same time every year, using their stored water. 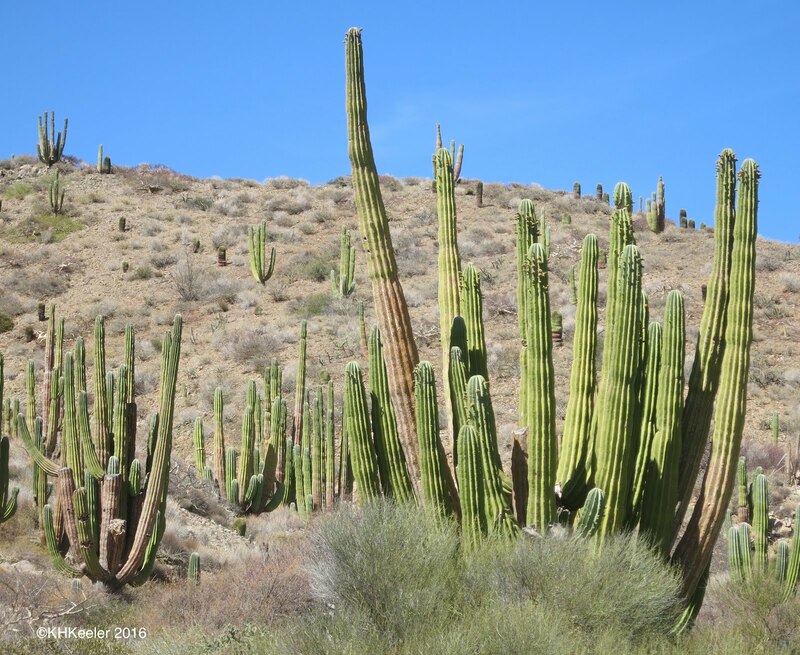 On the islands of the southern half of the Gulf of California (Sea of Cortez), a surprizing number of perennial plants were flowering in mid-April. Wavy leaf thistle, Cirsium undulatum, is a native thistle of the plains and the west of North America (sunflower family, Asteraceae). 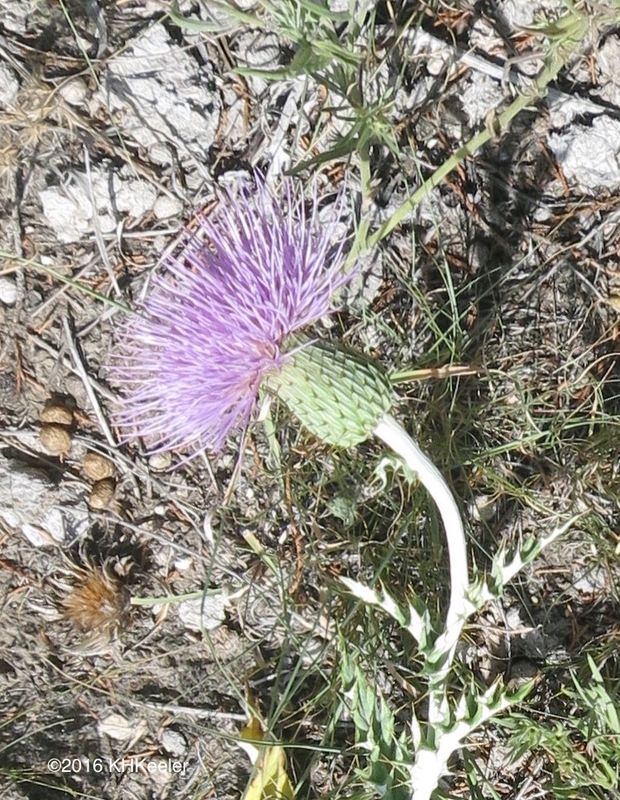 Thistles are a weird group: some are rare and endangered, some are extremely abundant noxious weeds. Wavy leaf isn't currently protected, but it is closer to being rare than noxious. 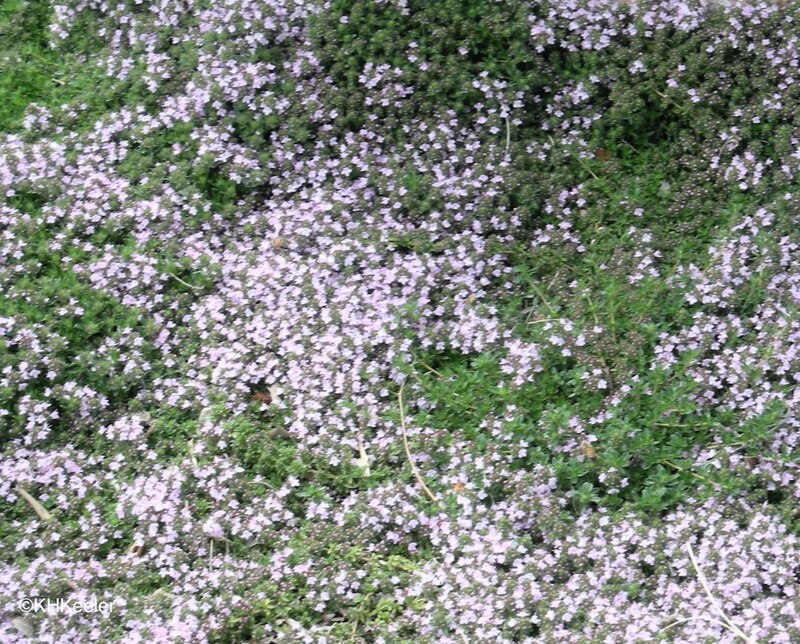 Having a lot of thyme is joy. Grow some and see. 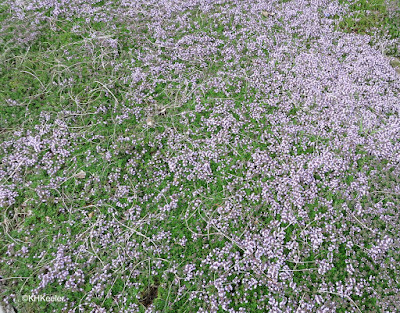 Thyme is a small mint (mint family, Lamiaceae) with the scientific name Thymus. The thymes are from Eurasia where there are some 350 species. Humans have liked the scent for a very long time. 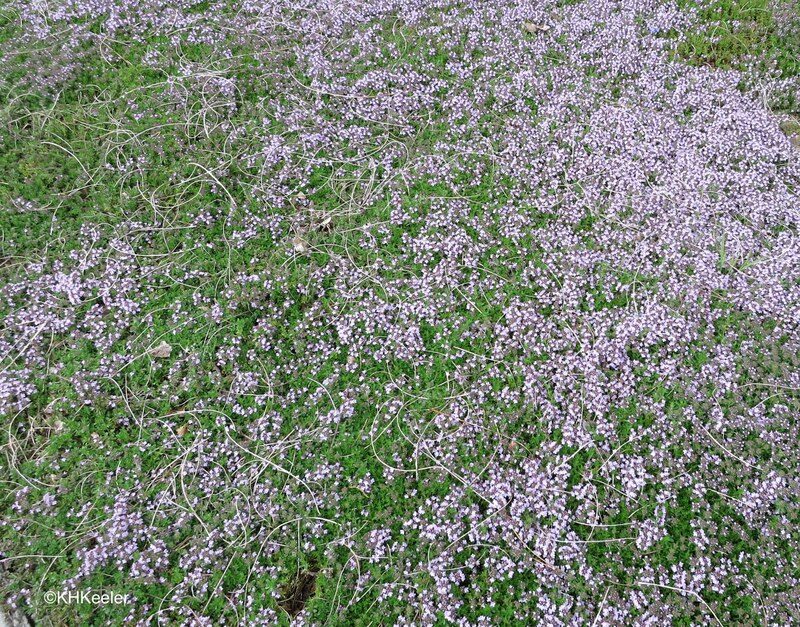 The oldest report of thyme use that I could find is apparently in the Ebers Papyrus, from ancient Egypt about 1550 BCE (more information) where it was used medicinally. variously described as derived from the word for incense (thymiama), the word for incense burner (thymiaterion), a word for a perfume (thuo), and/or the word for courage/bravery (thymos or thumus). 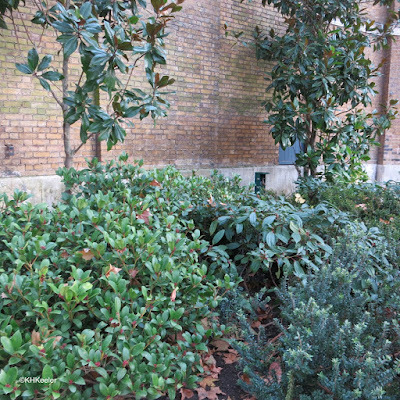 Our trip to the big city of Stockholm, Sweden, turned into a botanical tour as well (link to last week). Here are some more of the pleasures of botanizing in a city. 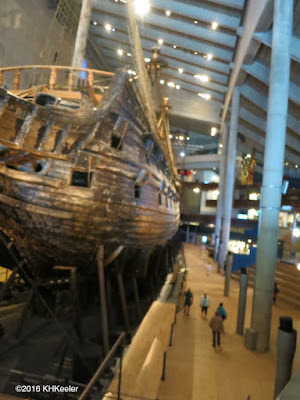 The Vasa Museum is the very famous Stockholm museum housing the ship the Gustav Vasa, a sailing ship that sank in Stockholm harbor in 1628 on its maiden voyage and that, 333 years later, was raised, restored and provides a wonderful glimpse of the time (link). I had seen the museum in 1969 and 1987 but enjoyed it mightily this time too. 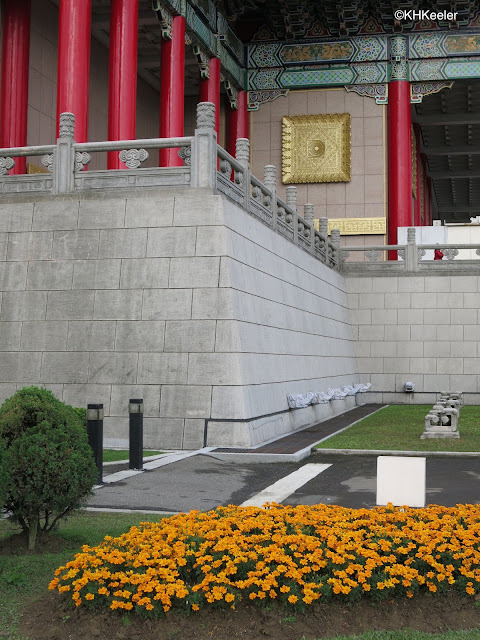 One engaging addition was a series of videos on the situation elsewhere in the world at the time--I didn't know that at that time the Ming Dynasty in China was being defeated by the Qing (link) or that the Vasa was concurrent with the Mughal empire in India (link). AND, the Vasa Museum curators had created a garden of plants typically used when the Vasa sailed. I certainly never saw the garden in my previous visits. It is close to the doors to the museum, but not particularly obvious. 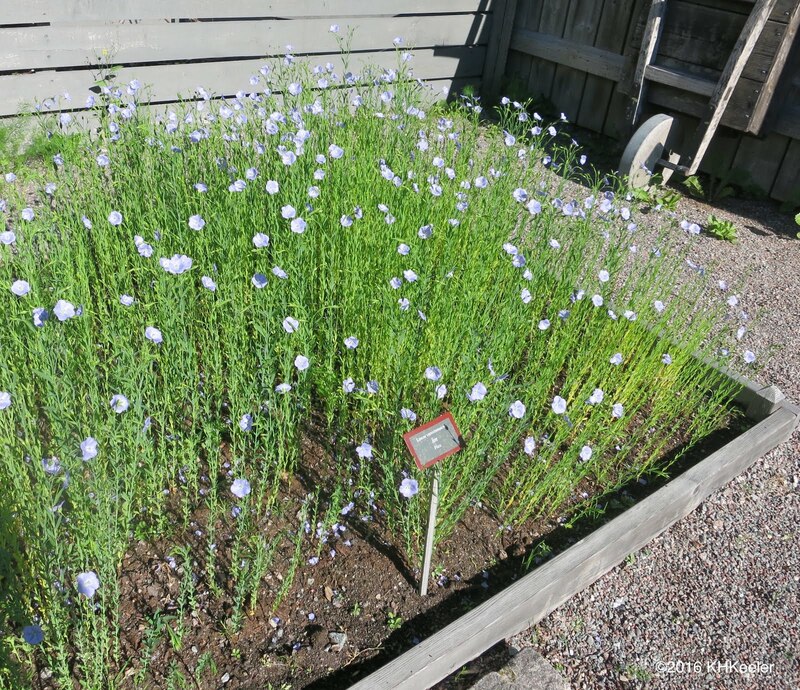 The little garden featured food plants such as broad beans (Vicia fava) and kale (Brassica oleracea), and medical plants like St. Johns wort (Hypericum perforatum), comfrey (Symphytum officinale), and opium poppies (Papaver somniferum). 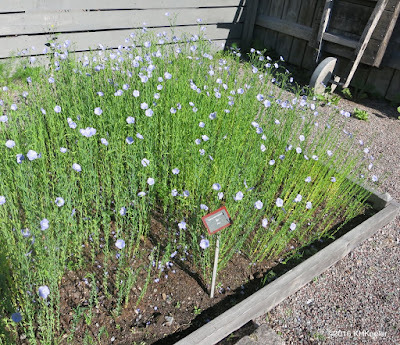 The flax (Linum usitatissimum) was in full bloom. Flax was grown for flax seeds and the linseed oil produced from them and the stalks were processed into linen. Today there are specialized varieties of flax for each purpose, but that was probably not the case in 1628. I was surprised the flax was so short: turning those little stalks into thread would have been hard work. But all linen production is hard work, because you have to strip the outer layers off the strong central fiber, a process of rotting and pounding, before you can begin to spin. ( more on making linen thread). 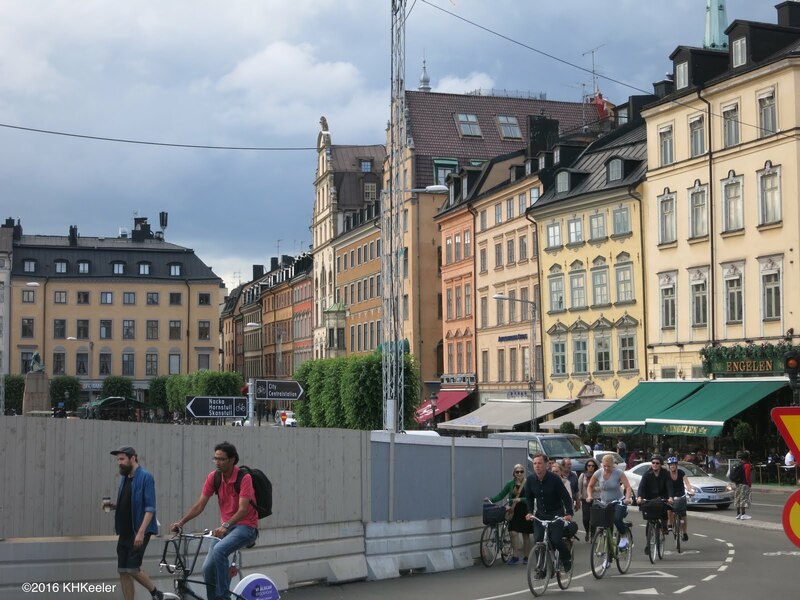 Stockholm is the capital of Sweden, a major city with a population of almost 800,000. How is that a botanical destination? Well, as soon as you get more than, say, 100 miles from home, the plants start to change because the climate (and soil or both) change. 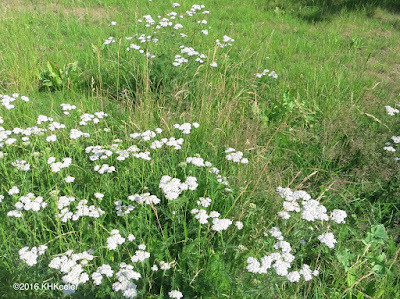 By the time you hop half way around the world (Denver to Newark, 4 hour flight, Newark to Stockholm 7 hours more) the native plants are almost entirely different. Recognizing a plant is exciting! There are green trees and green lawns in a city like Stockholm, so it seems familiar. But when I looked more closely, most of the plants were different. 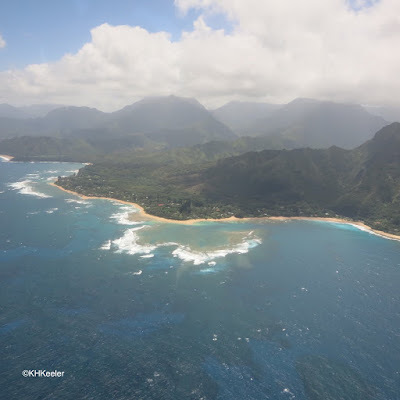 Distance--being on opposite sides of an ocean, for example--is important in making different areas have different ordinary plants but climate plays a big part too. 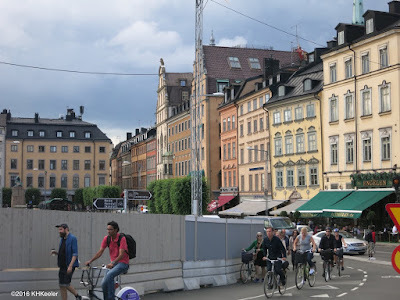 In Stockholm it was light until nearly midnight although the sun was very low by then and although the days were sunny the highs rarely topped 80 F. Several nights, it rained. In Colorado while we were gone, most days were over 90 and there was one brief thunderstorm. Plants that do well in the cool moisture of Stockholm are just not the same plants that grow well in the intense dry heat of midsummer Colorado. When I retired, I had lots of thyme. The lawn just after it was planted. 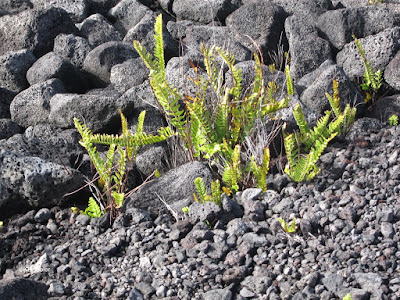 That combination of history and isolation makes Hawaii the hardest place for plants and animals to colonize. 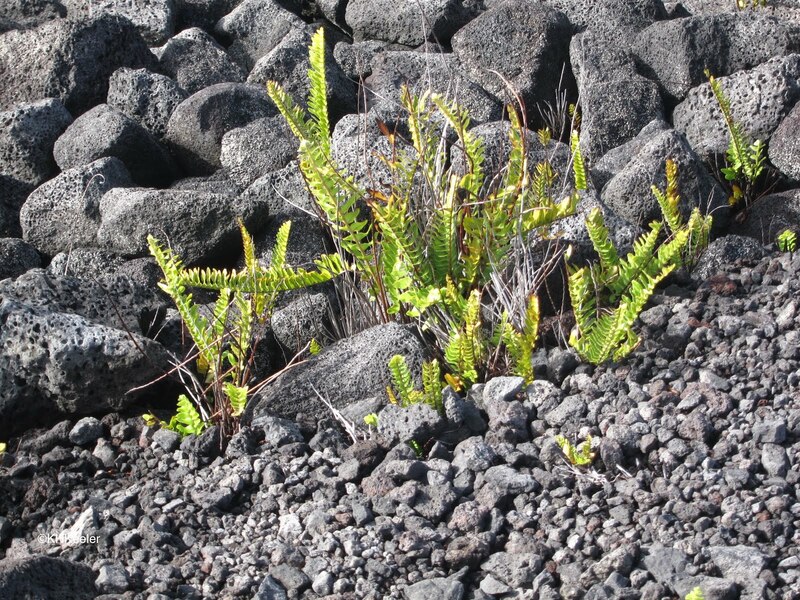 Botanists estimate that only 290 plants ever made it on their own. 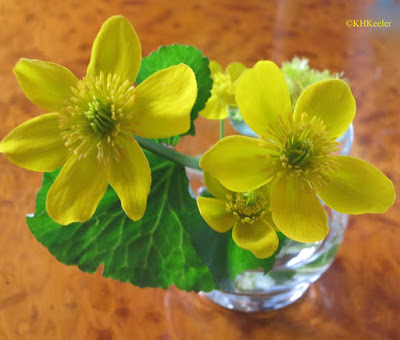 They have to have survived drifting in floating debris for weeks, or clung as living seeds to the feet of birds on a long-distance flight or, in the case of the tiny spores of ferns, ridden a storm wind and landed not in the sea but on a tiny bit of land. 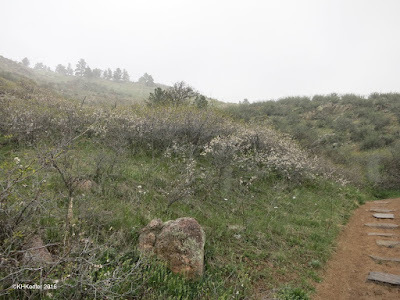 I hiked in Rocky Mountain National Park, taking time to watch the pollinators. 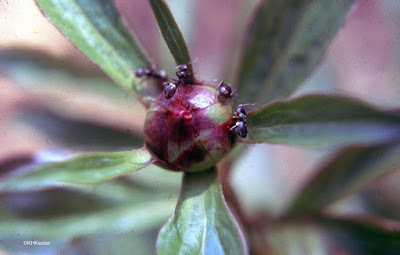 Why are there ants on the peony buds? Ants taking nectar from peony extrafloral nectaries. The simple answer is because peony buds secrete nectar (sugar water). 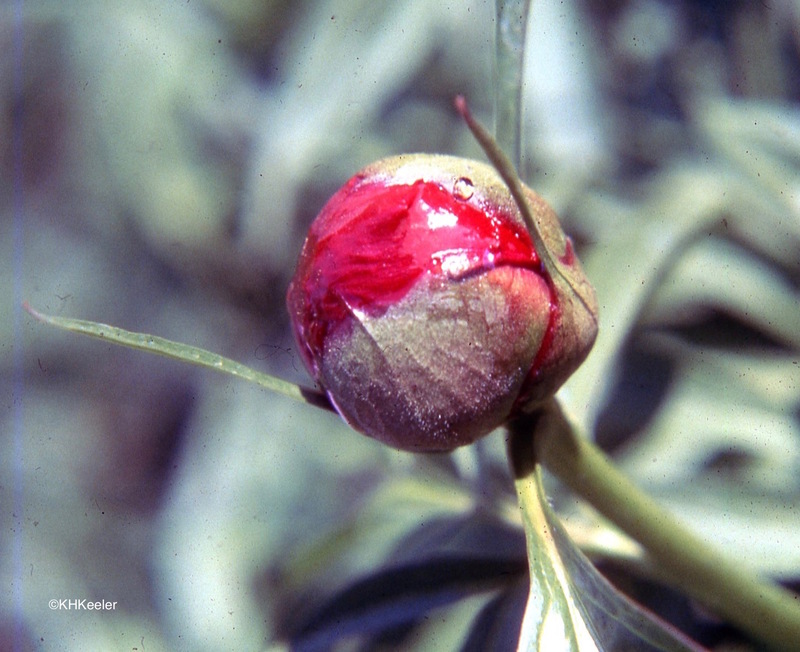 Why do peony buds secrete nectar? 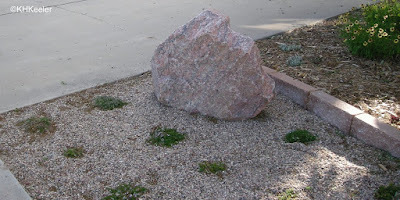 There is no definitive answer to that question, but, based on studies of other plants, to attract ants which defend the plant from damage. Its always a joy when the peonies flower! 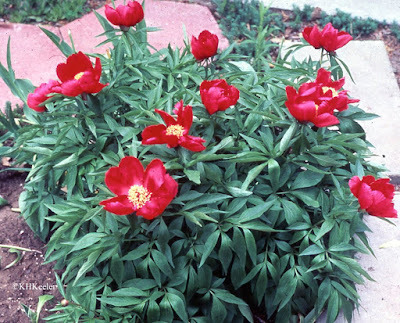 Europeans have been using two of their five native peonies, the female peony Paeonia officinalis (link) and the male peony P. mascula (link) medicinally for millennia. It is not obvious today why they are called male and female. It does not reflect the botany. Both are male, in the sense of having pollen (sperm) and both are female, in the sense of having eggs within ovules that develop into seeds. 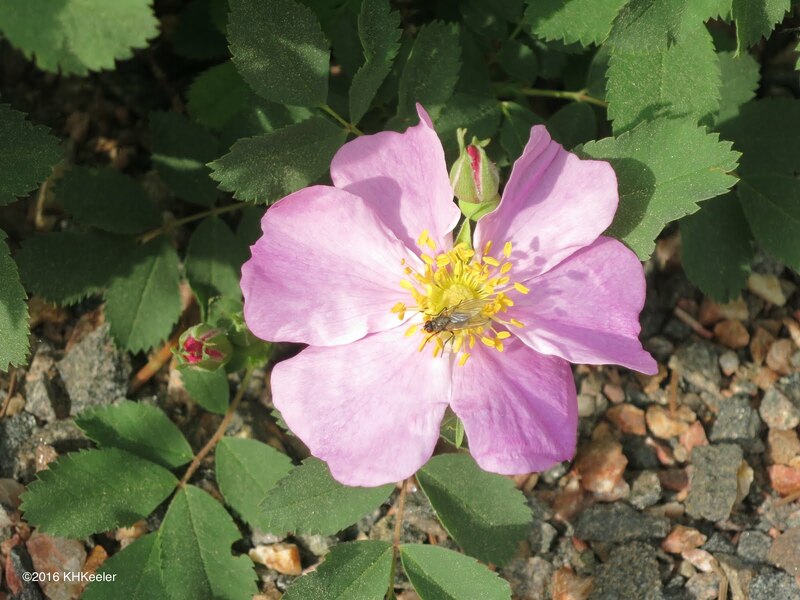 In both species, both "male" and "female" function occur within the same flower (hermaphrodite flowers). Furthermore that explanation is relatively recent--that plants did any kind of sexual reproduction was one of Linneaus' absolutely shocking suggestions in the late 1700s. Peonies were called male and female long before that. The Bynums in Remarkable Plants suggest that the designation reflects the relative size and vigor of the two plants, male peonies being larger than female peonies. Peonies! Wonderful big flowers and a rich scent. No wonder they've been favorites for millennia. 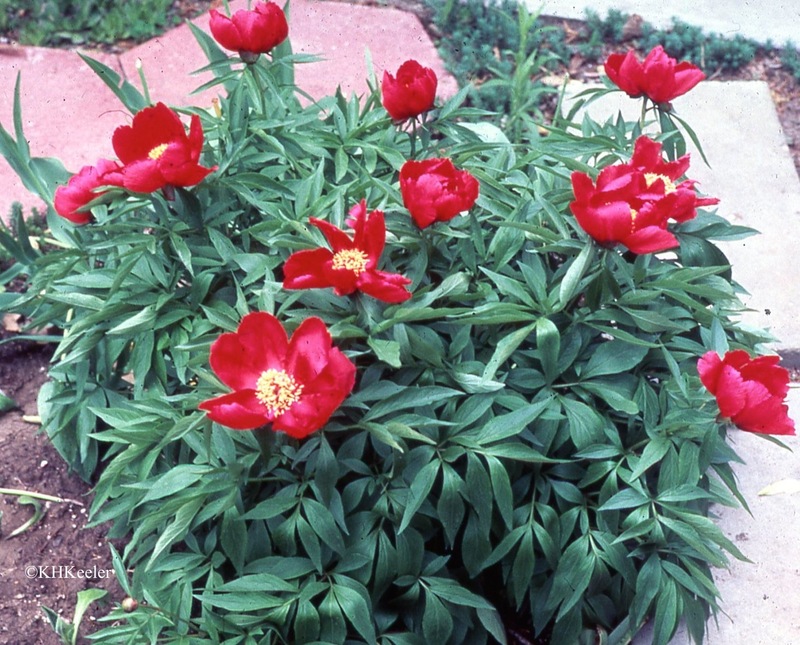 Peonies are plants of the genus Paeonia. It is the only genus in the peony family, the Paeoniaceae. There are 33 species, very like each other and not like much of anything else. 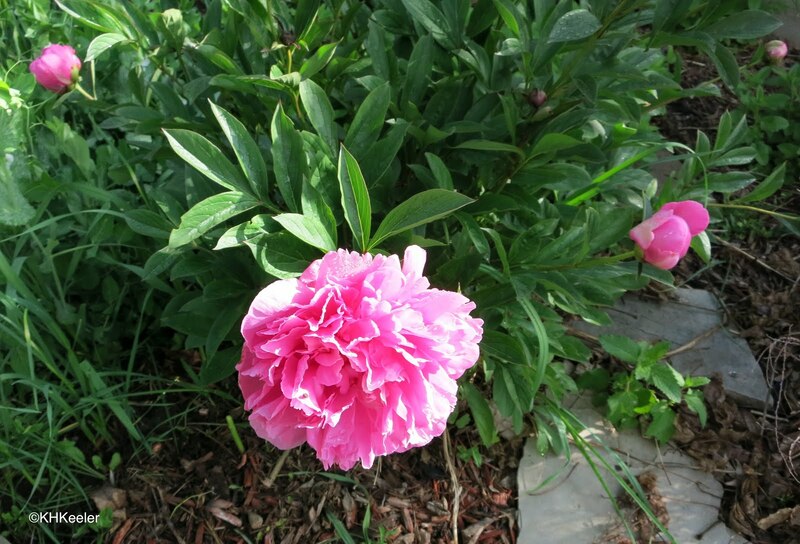 They have an odd distribution: two species are native to the western US, a few species are found in southern Europe and across Asia but most peonies are native to eastern Asia. The Chinese have been cultivating peonies for more than 3,000 years (written records from the early Zhou Dynasty (1046-256 BCE)), creating hybrids, doubles and new colors. The Chinese particularly liked tree peonies (mǔdan), which are native only to China and available but not particularly common elsewhere. 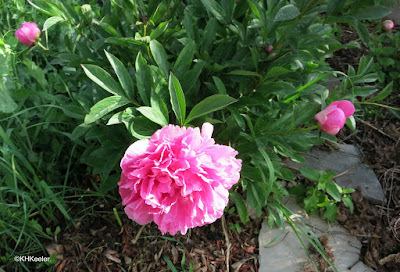 But they also loved herbaceous peonies (sháoyào). 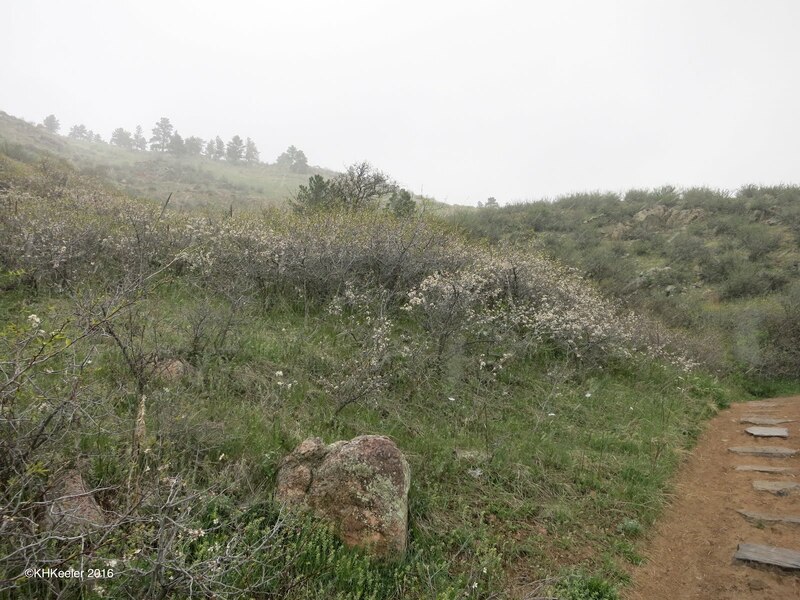 Colorado, straddling the Rocky Mountains, has, on the eastern side--Front Range--monarch butterflies from the eastern North American population and on the Western Slope, butterflies from the western monarch population. Colorado doesn't fit neatly into the current "Grow Milkweeds for Monarchs!" push because the common milkweed, Asclepias syriaca is not native here. Monarch caterpillars eat only milkweeds, so reductions in milkweed populations reduce monarch butterfly numbers. Milkweeds are native all across North America--there are 140 species--but that "weed" in their name makes us assume they are ubiquitous. Far from it. Planting milkweeds to help monarch butterflies find it easier to find food for their larvave makes very good sense. 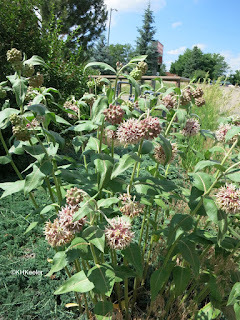 The common milkweed (A. syriaca) doesn't grow in Colorado. 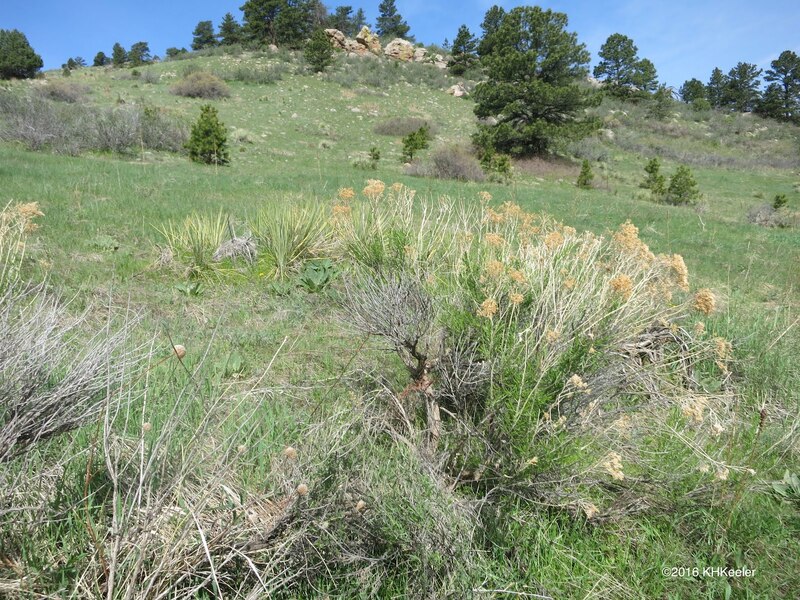 Since there are 19 species of milkweed native to Colorado, it only makes sense to grow those. 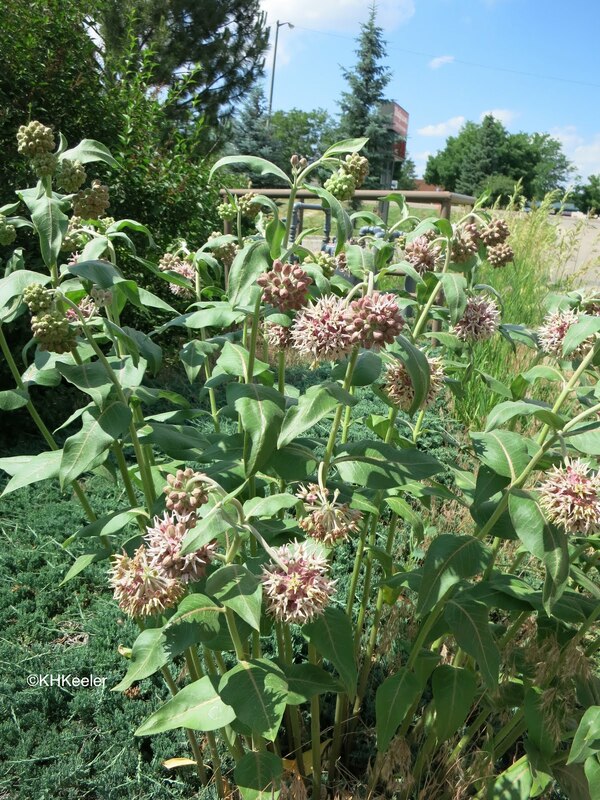 The easiest to grow is the showy milkweed, Asclepias speciosa It is the milkweed you see in Colrado side-lots and roadside ditches. It looks a lot like the common milkweed.